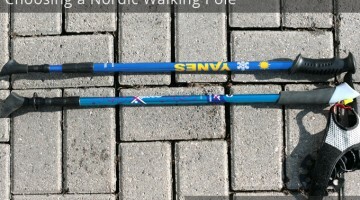 Nordicwalkingfan.com is a web site written by — literally — just a fan of Nordic walking. I’m a rank amateur and never will be a pro. If you read something on this site that disagrees with what you see professionals saying, I’d go with what they say! While I will seek to inform, I’m not trying to sell anything or convince anyone of anything. 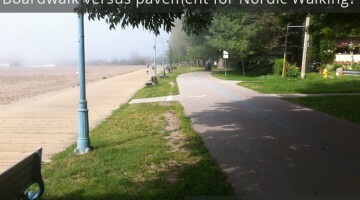 I just want to pass on my thoughts, confusion, hesitation, progress, discoveries and victories from my first year as a norker (Nordic walker) as a beginner speaking entre nous to beginners in plain English. I don’t take the sport seriously; I think it’s a lot of fun and I do it for relaxation and enjoyment. I’m very aware and grateful for the health and other benefits of the sport, but if I didn’t enjoy it, I wouldn’t do it, period. I’m looking forward in the future to learning a lot more by reading and following the professionals who have gone ahead of us. 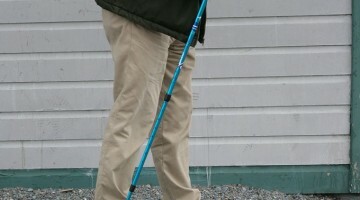 I’ve assembled a page of Nordic walking associations to help people looking for professionals near them. My name is Randal Oulton. I’m the author of cooksinfo.com food encyclopaedia and blogs including practicallyedible.com, hotairfrying.com, and this one, nordicwalkingfan.com. I’m also a Weight Watchers for Men member, Nordic walker, application developer working with back-end web sites, IBM Notes expert, and an established scripter and developer inside the virtual world of Second Life since 2006. I have a working knowledge of 7 human languages including Latin and Greek which are proving more useful in life than several computer languages I know. 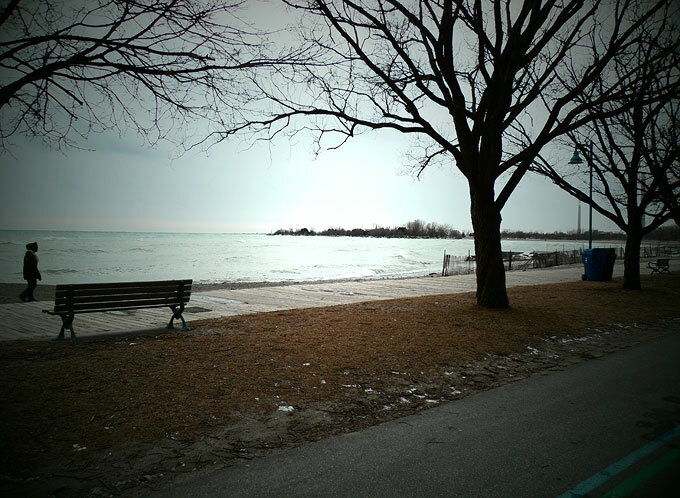 I live in an area of Toronto called The Beach, right smack on the northern shore of Lake Ontario. 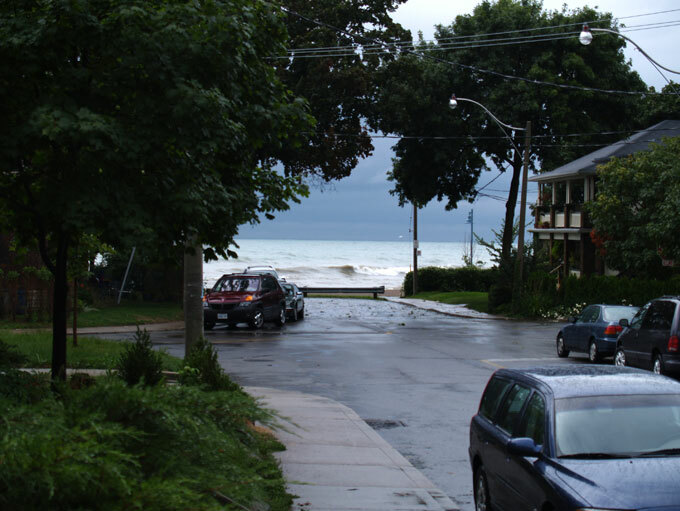 The street photo below is looking south into that water that you see in the map above. 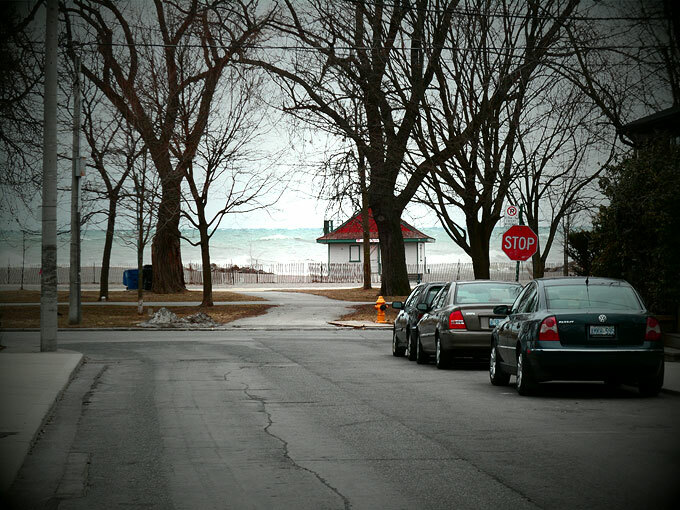 When someone here says the street ends, they are not talking conceptually or figuratively. Probably most drivers would figure out the “stop” part all by themselves when they see that little bit of water in front of them. Still, the city can’t be too careful, I suppose. 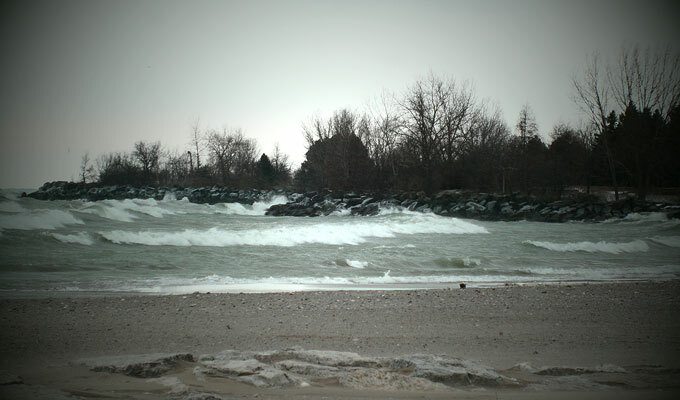 In the photo below, there’s a fitness trail and boardwalk sort of visible running in front of the Leuty lifeguard station. I’ve lived in The Beach since back when I was in school and still have the same barber here! I just wish I’d started Nordic walking years ago, the area is perfect for it. I did use to jog the boardwalk, but a teenage knee injury has come back to haunt a bit so I don’t want to put that knee to the pounding that I got away with for a while there. There’s both a boardwalk and a fitness trail. 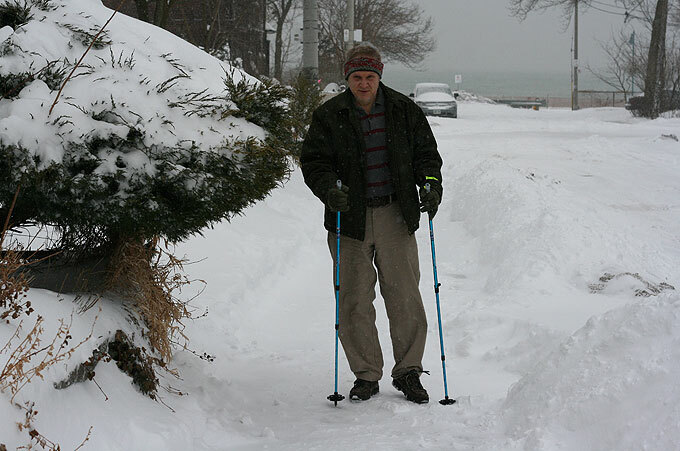 You can go out Nordic walking either on the boardwalk or the paved fitness trail. I’ve seen people do either. I prefer the fitness trail, because the boardwalk can have tricky gaps between the boards that look perfect for trapping a pole end into, so you’ve got to constantly be looking down. Nordic walking makes you super aware of the weather because (a) you’re out in it, and (b) you can start off cold but then sweat to death if you didn’t dress flexibly somehow. Or dry, and then end up wet when the threatened rainstorm for that day materializes after all!